A Magnetic Disc Separator (MDS) has been manufactured and despatched to Nigeria for use in the processing of Coltan (a combination of columbite and tantalite). The Magnetic Separator is used in a process to primarily extract Tantalum. Tantalum is a key raw material in the manufacture of batteries for electric cars, mobile phones and other electronic products. Deposits of Coltan have been mined in Central Africa for several decades. 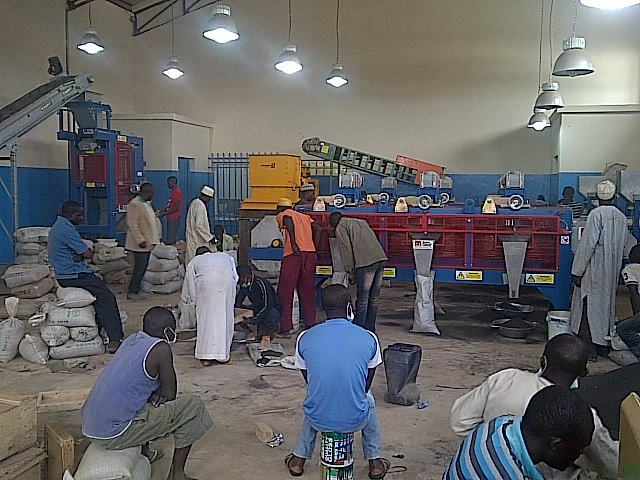 Master Magnets Magnetic Diisc Separator in operation in a coltan processing plant in Africa. The Magnetic Disc Separator enables the separation of different minerals with varying levels of magnetic susceptibility. Concentrated fractions of minerals are collected and then further processed. For this new project, tests were undertaken in the Master Magnet test facility at Redditch, UK. The tests confirmed the level of separation, capacity and the magnetic separator configuration. Once completed, the samples were returned to the client in Nigeria for analysis. On receiving confirmation that the separation matched their processing requirements, an order was placed. A model MDS3-375 Magnetic Disc Separator was recommended. This featured three high-intensity electromagnetic discs, (with 6 electromagnetic coils) each set at a different height from a 380mm wide feed conveyor. The first disc was set the furthest from the feed material to extract only the most magnetically susceptible particles. The second and third discs are set at lower gaps, increasing the magnetic force at each disc and therefore separating different grades of magnetic material. The tests had determined that the MDS3-375 Magnetic Disc Separator could process between 500 and 600 kg per hour. 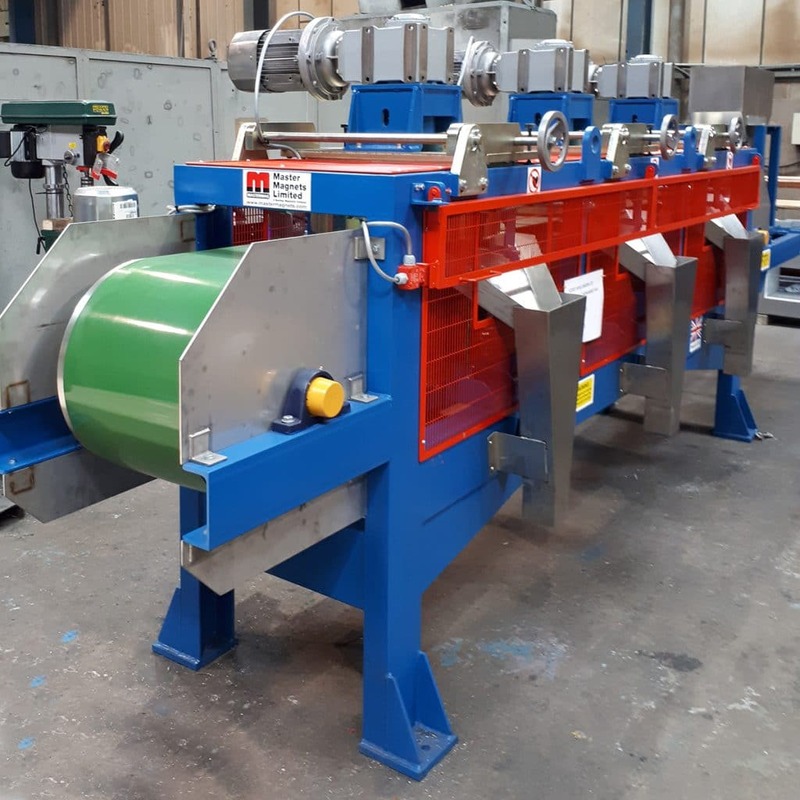 Further information on the Magnetic Disc Separator, including a video featuring leading magnetic separation expert Dr Neil Rowson, can be seen in the article ‘Technical Video Explanation of the Magnetic Disc Separator‘. In the Master Magnets test facility, tests are conducted on mineral materials from deposits all over the world. From the tests it is possible to confirm what separation is possible on what equipment. This then forms the basis of a separation guarantee for any equipment order. The Master Magnets laboratory houses one of the most extensive ranges of high intensity magnetic separation equipment in the world.